Berlin International Film Festival, popularly called the Berlinale, is a leading film festival in the world. It is the most sought after event in the Berlin cultural scene, attracting film-loving audiences, industry professionals and reputed filmmakers from across the world. A film premiere at Berlinale is every filmmakers dream! 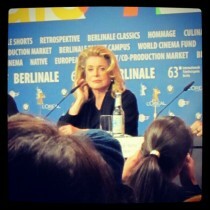 Florentina Bratfanof scouted around the Berlinale 2013, attending the event with a press accreditation. We asked her to share her experience with our readers and tell us – What is it about the Berlinale that makes it so special? As soon as I was on the flight to Berlin, a sense of joy came upon me. The cabin had at least three people reading the Berlinale programme. When I reached the festival headquarters, the entire program of the 10 day extravaganza is a 150 pages long glossy magazine! The sense of history attached to the most anticipated event on the European film calendar never goes amiss. 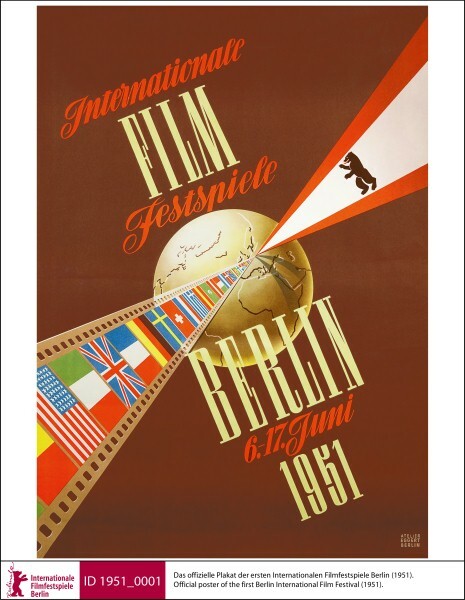 In 1951, only six years after the Second World War, when large parts of Berlin were still lying in ruins, the inaugural edition of the Berlin Film Festival was established by the initiative of an American film Officer Oscar Martay, in order to revive the cultural energy of the city. Alfred Hitchcock’s Rebecca opened the first Berlin International Film Festival and the final evening was celebrated with a mesmerizing display of fireworks. Immediately, the ‘Berlinale’ became a hit with the public. By 1970, the Berlinale had already acquired a rich history of scandals. This particular year the jury generated a controversy over Michael Verhoeven’s film, o.k. While many predicted the end of the Berlinale in 1971, the festival has never been the one to get bogged down. The festival rose to occasion during the historically significant years of 1989-90. In 1990, the Berlinale showed concurrently in both East and West parts of Berlin. The 2002 Berlinale expressed ‘Accept Diversity’ as its motto for global co-existence of both cinema and cultures. This February, the Berlinale arrived at its 63rd edition, and my second time attending the event. The festival has always evolved, adapting to the times, as well as preserving the old traditions. Apart from film showing, it has now become an international platform that encourages networking and initiation of new film projects, especially by young and upcoming film-makers. Here is how the festival pans out during its 10 day extravaganza. The International Competition was the most hunted section of the Berlinale. This is where the battle unfolded for industry professional to get noticed by the others and to attain world recognition. The audience this section attracted was the largest in numbers, struggling to get in to see the movies because the tickets were instantly sold out. The International Competition usually features around 25 films in the Official Programme. The Awards were decided upon by an international Jury. Berlinale Shorts featured shorts films by filmmakers and artists, that were innovative both in their aesthetic form and in their content. The Awards here were also decided upon by an International Jury. The competitive section called Generation opened up the Berlinale to children and young people. The Kplus and 14plus competitions presented outstanding productions made specifically for children and youth. Generation showed films which appeal to young people of various ages, on account of their form and content. An important section of the festival was Panorama. Within the Official Programme, this section presented new works by well-known directors showcasing debut films and exciting new discoveries. The selection of films gave an overview of trends in art-house world cinema. Panorama was non-competitive and did not offer awards of its own but several awards were presented by independent organisations. Another interesting non-competitive section, is The Forum. It gives gave attention to new trends in world cinema, promising narrative forms and fresh voices. The Forum programme also highlighted directorial debuts and innovative works by young film makers. Additionally, there were several other categories to complete the Berlinale’s programme that contained by invitation only films or films dedicated to the German cinema. Film Market - One key meeting point was the European Film Market (EFM). Around 400 companies and more than 8,000 professionals from 95 countries built and fostered contacts here, strengthening their position in the industry or negotiated film rights. Workshops - Every year, another key Berlinale project that ran concurrently to the festival- the Talent Campus linked together high profile professionals attending the Berlinale to workshops and discussions with 350 promising young film talents from all over the world. Both benefited from this encounter. The talents profited from the experience of the professionals, who in turn gained fresh ideas from taking part in it. International Fund - The World Cinema Fund (WCF) provides financial support to film projects in countries with weak film infrastructure thereby helping strengthen the regions’ position on the international film market. Applications for distribution funding support can be submitted continually. Given the large frame of the Berlinale, it is best advised to prepare and plan ahead to make your experience worth the time, money and effort! Here is a peek into my notes about what to expect and checklists for visitors, journalists and young filmmakers looking to submit their films at the festival. 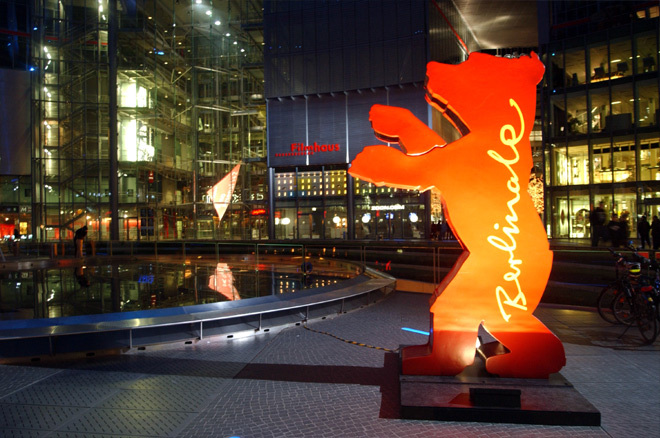 The Berlinale takes place every year in February (at the beginning of the month, 10 days). If you are planning to attend, you should register for a free account on the festival website. The festival is well organized with good communications in place. It is easy to access news about screening schedules, film projects, participants. The website is updated with its various projects all year round. Be prepared for a welcoming and warm experience in Berlin – a city that welcomes film loving audience from all parts of the world. Accommodation during the Berlinale can be expensive if you have not booked a place in advance. Ticket prices for various scre enings are listed on the Berlinale website every year. If you are planning to apply for a press accreditation it is important to know that this is like applying for a job. You should take the process seriously and prepare the letters of recommendation. I applied with two letters of recommendation, one from a movie specific website and the other one from a general online magazine. While applying, it is really important to clearly state your interests and your specific plan to cover the festival. You should also gather the best of your previous published work at least one week before the deadline. Speaking about the deadline - it is usually one month before the start of the festival. The cost of the press accreditation in 2013 was 60 Euros. Films of every genre, length and format are shown in the Berlinale’s various sections: International cinema in the Competition, independent and art house in Panorama, films for young audiences in Generation, new discoveries and promising talents from the German film scene in Perspektive Deutsches Kino, avant-garde, experimental and unfamiliar cinematography in the Forum and Forum Expanded, and an exploration of cinematic possibilities in Berlinale Shorts. New and extraordinary productions are shown under the auspices of the Berlinale Special and the Berlinale Special Gala. Online film submissions open every September. The last date of submission is usually the end of October for feature length films and mid November for short films. The registration fee varies from 125 Euros for feature length films to 50 euros for short films. A few specific conditions for entries are that the film should be completed within the 12 months prior to the Festival. Like every other important film festival, International and European premieres are given priority at the Berlinale. Even if it takes a lot of planning ahead – two or three months before the festival to find decent plane ticket and accommodation, plus the effort to apply for an accreditation, the openness and the energy anyone can find at this festival is worth every effort. The content of the festival is so vast that you can experience up to 15 movies in 4 days, films that are considered the best of international cinema. The Berlinale truly stands out as a treat for every movie lover and spells out the creative and boundless potentials of cinema.